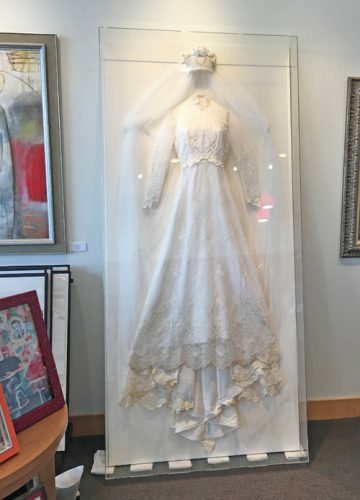 It was a true privilege designing and fabricating a wall display for our client’s wedding dress. 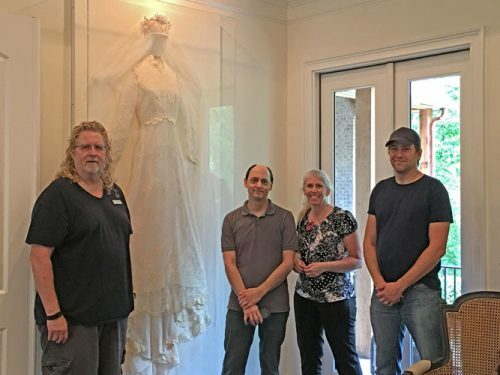 Even though this couple has been married for many years the occasion of moving into a new home sparked the idea of framing her bridal gown. 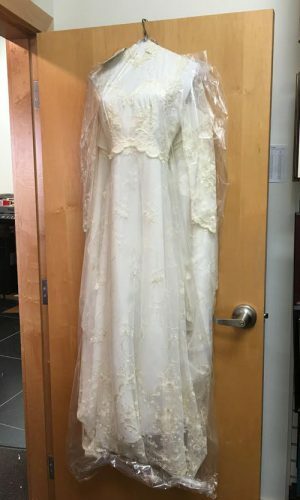 We began by having the dress hang for a few days to allow it to begin to take shape. 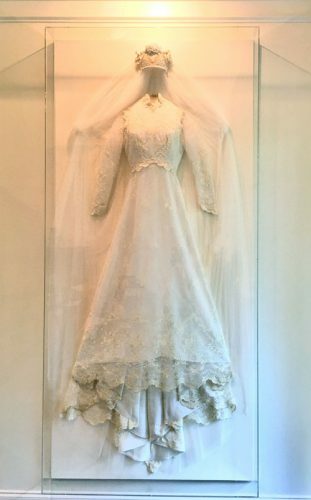 Next, we positioned the dress and veil to fall naturally and took the display’s dimensions. 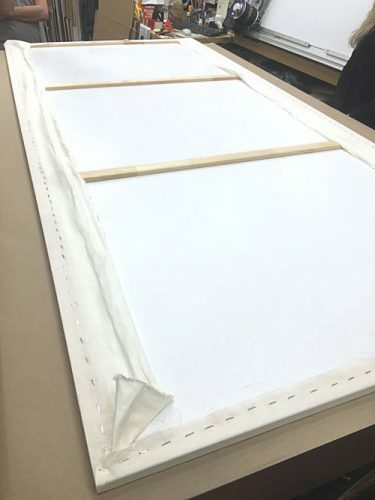 We built a backer board, supporting it structurally with a wooden, cross-braced frame, and wrapped it in ivory, acid-free linen. 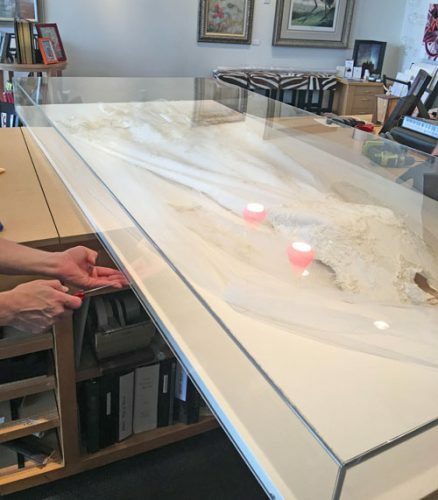 The conservation-grade materials we selected will aid in preserving the dress for years and years to come. 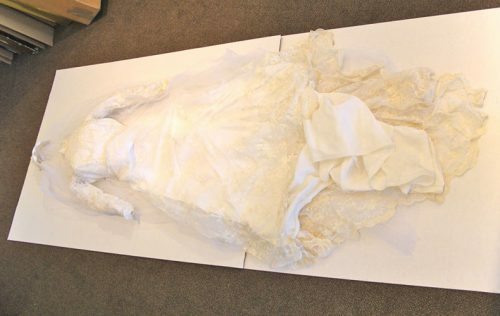 After the dress and veil were sewn to the canvas (we do not use glue) we allowed it to rest upright for a few days to check for sturdiness, fabric positioning, stitch placement, etc. We then assembled the display. 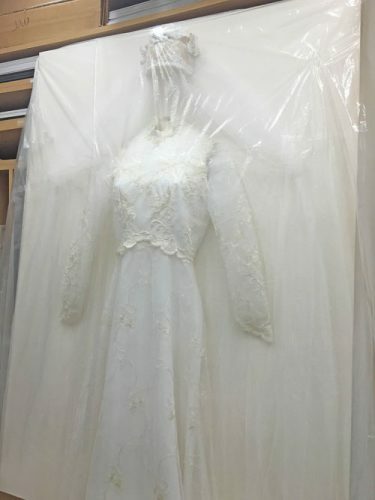 The box is made of museum-grade acrylic that filters out UV light, acting like sunscreen for the dress, veil, and backing fabric. Our masterpiece is ready to be loaded onto our delivery van. Our crew delivered and installed the shadowbox in the client’s home. You can see from the photo what a large job this was, in actuality 3.5′ wide x 8′ high, and why it took four people to install. Here is the finished product installed in our happy client’s home. 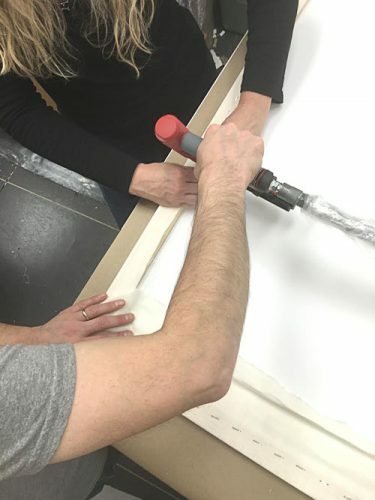 What a fun, unique, custom job this was for Four Corners Gallery!